The Wong Wei Long Elite Point Guard Camp was held over the past weekend at the OCBC Arena. 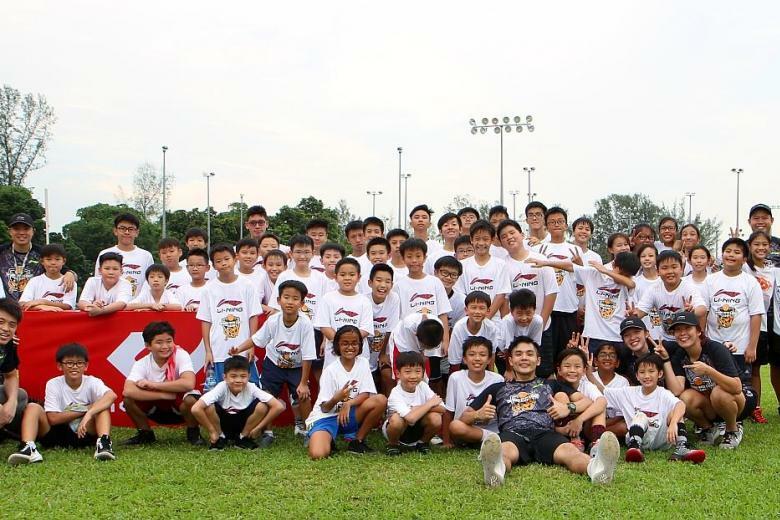 With help from teammates such as Leon Kwek, Wu Qingde and Toh Qing Huang, the two-day event attracted 64 participants aged eight to 18, who were put through a programme that Wong designed to help them learn what it takes to be a top point guard. Wong, 28, has won two SEA Games bronze medals and two local MVP awards with the Singapore Slingers in the Asean Basketball League. He said: “With my experience, I want to give back and help groom the next generation of basketballers. “We had a lot of fun and I believe all the participants learnt something. For example, we showed them different pick-and-roll situations and options for such scenarios.